As a carp angler it’s almost impossible to not be aware of the subject of otter predation. 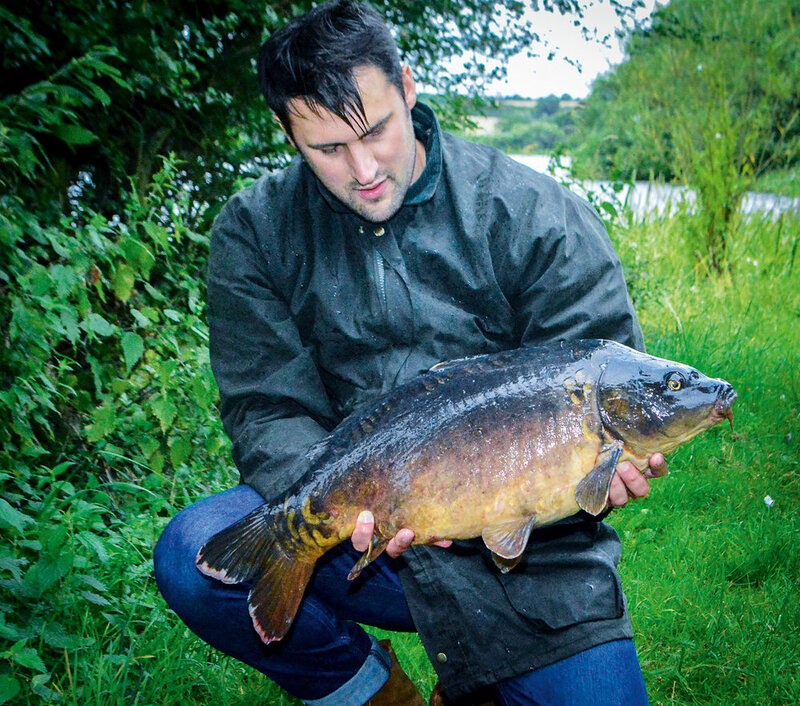 The need to fence fisheries in order to protect our beloved quarry isn’t a new topic, nor one that has been reported on sparingly over the past few years in the many areas of angling and national media. Otter predation is understandably a passionate topic that, as a result, generates a lot of frustration and anger from anglers and fishery owners alike – with both often feeling powerless to stop the effect of predation on their waters. Through my own experience of otter predation at waters in the Nene Valley, I have been on what feels like a journey of discovery into some of the bureaucracy of how our countryside, outside of angling, is managed. I have also learnt much more about otters and their behaviour. Hopefully, within the following brief account, I can try to tell the story of my experiences and provide others facing a similar situation with some facts. There are two organisations that provide information that can help a fishery, but to coin a phrase they are on the ‘otter side of the fence’ – namely they are the Wild Otter Trust and Natural England. My main hope from writing this piece is to try and remove some of the rumour and hearsay surrounding otter related predation issues in angling, whilst hopefully providing some insight into the otter and some options for protecting fisheries. Firstly, to sum up where we are at the present time. After being aware of the growing threat of otter predation for a number of years now, I feel as though the seismic shift in angling thinking that really needs to happen is we have to start accepting that the reintroduction of otters into UK fresh waterways has, for the species itself, been an outstanding success, and won’t be reversed in the short term. 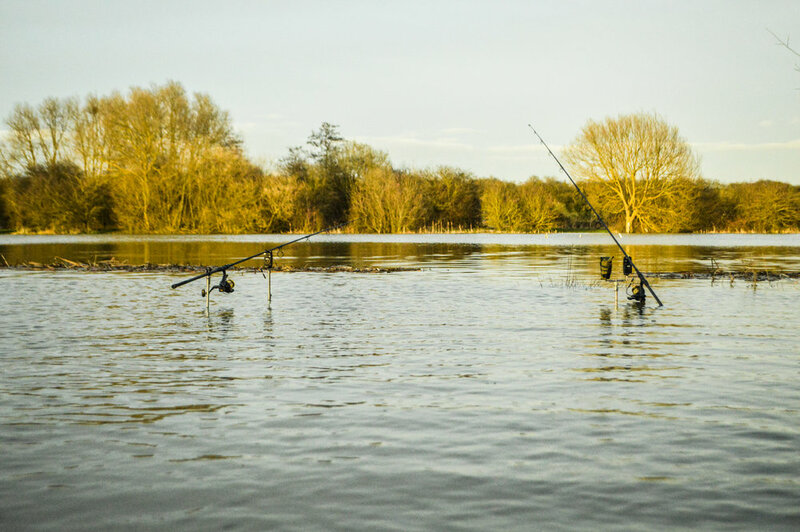 This process of reintroduction has also, unfortunately, changed the landscape of angling and it isn’t something that can be changed back again overnight – if at all. I feel that our main efforts now need to be focused proactively on what can be done to protect our fisheries, and educating as many anglers as possible with the correct information and on which groups can help and offer advice – instead of looking to point fingers of blame and expect the problem to be fixed by others outside of the angling community. I sometimes feel it’s as if some from within the angling community seem to believe ‘it is your fault/problem, you need to sort it out’. One issue that strikes me from browsing social media and through word of mouth when performing my bailiff duties on the bank, is that there is still a large knowledge gap within angling surrounding the facts, and some of us anglers are potentially at times looking at the otter predation issue from the completely wrong angle if we want to make positive changes towards protecting our fish stocks. There are also, occasionally, some dangerously incorrect statements being bandied around on social media. What we have to remember is that some of these statements really don’t help our cause at all with conservationists and supporters of the otter population. In a recent example of these outbursts, I have noted calls from some anglers to boycott the rod licence. A: That’s illegal with large penalty fines and B: the EA are funding predation defences via Angling Trust grant schemes. A lot of angling venues have benefitted from this vital cash injection in recent years and the £5k on offer can go a long way with materials to fence a venue. 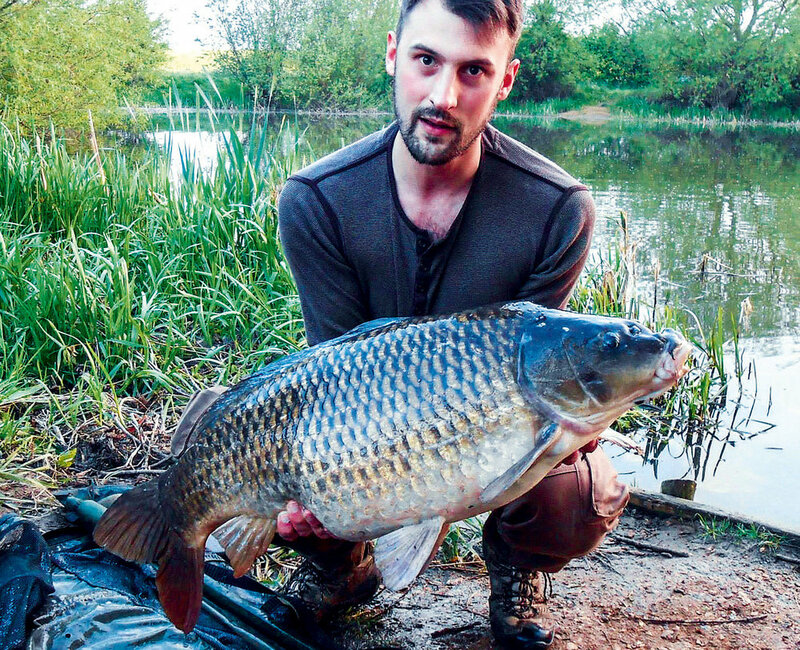 Don’t get me wrong – there is no denying that it is absolutely devastating and heartbreaking to be walking around your lake and find a dead carp with its stomach ripped open or, worse still, a fish alive but with horrific wounds, needing to be euthanised. Unfortunately, I have been there myself. The feelings I felt were a mixture of both anger and helplessness, as I seemed powerless to get people listening or admitting there was an issue and, ultimately, prevent this predation. This is where I want to get onto the main message – one that I strongly believe in. We, as the angling community, can’t change things alone. And, when I say we, I really mean angling as a whole – the tackle trade, the angling press, fishery owners and anglers. Whilst for most of us, the stuffy halls of government in Westminster seem a million miles away from the typical carp angler’s world, we are facing central government on the issue of any change around such a heavily-protected species and are also in a time of imposed austerity where public sector budgets are already stretched to breaking point and beyond. Put it this way: there isn’t a plentiful pot of free money coming our way for otter fencing, and neither is there likely to be in the near future, or at worst, ever! What we can do, however, is start to tackle these issues from a fact-based perspective and reach out to build wider relationships, where needed, in the hope of a united approach by helping to demonstrate the effect of otter predation on angling and how angling benefits its participants on the whole. Compared to a ‘cute and fluffy’ otter, a scaly old carp doesn’t even come close in the eyes of the non-angling public. We have to be very aware of the perception of angling portrayed around this subject, or it could open further divisions within our own community, for groups that aren’t supportive of angling, to exploit. On the positive side of this, it can only help angling as a whole if better relationships are built at local grass roots levels between angling bodies and local government and other countryside and conservation-focused organisations. The way I see it is that if boiled down to basic points, fishery owners and angling clubs are all naturalists and conservationists at heart. As anglers, I think it’s safe to assume that the vast majority of us care for the well-being of our fish, fisheries and wildlife, that is an essential part of the habitat we regularly visit – in a way very similar to any other conservation group dedicated to a specific species. So, with this in mind, my approach was made up. Why can’t we build on this shared, conservationist-led passion for the benefit of all, which was the first point I needed to research on my journey. For me, the first logical place to start from was to properly understand the otter as a species, and start to build a dialogue with those involved in otter conservation. This is where I knew I had to reach out to an expert, so I dropped an email to Dave Webb of the Wild Otter Trust. It’s important to note that Dave’s organisation is completely separate to the original Otter Trust who carried out the early reintroductions of otters into the UK, as Dave clarifies below. Dave has featured on the BBC’s Countryfile as well as making several other TV appearances – all regarding otters; and, as he notes, is also a lifelong angler. Along with having a wealth of knowledge on otter behaviour, Dave is very pragmatic about the UK otter population, agreeing with many points raised by the angling community around the issue of fisheries affected by otter predation. Dave’s organisation successfully lobbied and pushed to become the first, and currently only, group granted the use of Natural England’s CL36 licence for the live trapping of otters from within an adequately-fenced fishery. So, let us try and answer some of the myths surrounding the otter population, their behaviour and their impact on angling as a whole. [Q]: Dave, thanks for your time on this topic. Please can we start by introducing yourself and your organisation? [A]: Ash, thank you for asking me to take part in this interview. It is very important that we all work together and show some form of unity. As you know, my name is Dave Webb and I founded the UK Wild Otter Trust (UKWOT). I have had an interest in otters for over 40 years after seeing much media attention and growing concern from anglers about otter predation. I saw a gap that needed to be filled with communication and understanding of the complexity of the predation issue, as well as hopefully reducing the sheer amount of anger that was being seen from the angling fraternity. I am a member of the IUCN Otter Specialist Group; Board Member for the Otter Welfare Advisory Group and a Senior Board member of the Otter Predation and Fishery Advisory Group. I am also a lifelong angler and wildlife conservationist. [Q]: The point I note as being most misrepresented within the angling community is when the last planned release of otters into the wild took place, who was behind it and whether we are likely to see any more releases. [A]: I agree, this area is very misunderstood. The original captive-bred otter program for release was started in 1983 by Phillip Wayre in Bungay, Norfolk. Between 1983 and 1999 there were 117 captive-bred otters released in various counties over that period. In addition to those, the Vincent Wildlife Trust released 49 otters, mainly to the Yorkshire area between 1990 and 1996. The last captive bred otter release was in 1999 and carried out by the original Otter Trust. That was 17 otters on the upper Thames catchment. There have been no captive-bred releases since then (1999). Currently, there are a few wildlife centres that are able to rehabilitate orphaned otter cubs (a specialist job) and these would amount to around 10 per year on average, spread over the whole of the UK and they often get mistaken for captive bred releases. It is a very different thing indeed and done in very small numbers. Once rehabbed otters are returned to the wild, we should remember that we are not adding to the population but returning an otter that would have otherwise, already been there! [Q]: I know from talking to you that the general health of our rivers and lakes are a concern of yours, as they don’t contain the food sources to support the otter population, thus pushing them towards an easy meal from a still-water fishery. Please can you elaborate on that point? [A]: We are seeing huge issues here with rivers. We have water abstraction, gravel-bed erosion, dredging, habitat destruction and poor water-quality management and over-stocking by the EA. This must stop. We need to concentrate our efforts on good riparian habitat to ensure that natural spawning grounds are maintained for fish to grow on, safely. We need to start working on an eel-restocking scheme, as eels are key to keeping predation down of other fish species. Eels would normally form a large majority of the otters’ diet due to the protein level of eels being much larger than that of say, carp. Eels were in decline well before the otter appeared and so they are not responsible for that decline. If we have clean, sustainable rivers with natural fish stocks, both anglers and otters, amongst other predators, can and will coexist. [Q]: I have noted that we had several resident mink on our water at the same time as visiting otters. I had read and heard from others that the two species don’t co-exist on the same water but we seem to have the issue on our fishery? [A]: Yes, another myth is that if mink are present then it’s likely that you don’t have otters. This is rubbish and we often see mink and otters happily coexisting in the same area of river – although mink do respect the otters’ space! [Q]: Our lake is almost 1km long and flanked on both sides by the River Nene and one of its backwaters. We noted otter kills mainly within the same rough area. Is this typically the territorial nature of an otter predating a lake and could there even be multiple otters in residence? [A]: An otter’s territory is large. Females have 6km to 12km, and males have up to 40km, with the largest ever recorded being 82km. It is unlikely that there are multiple otters in residence and I would say that, given the large territory mentioned, an otter or even a female with cubs is concentrating on the available food source of that particular area, that happens to fall within its territory. We often get reports of people seeing three or four adults together, but this is much more likely to be a female with cubs. Out of interest, and a point worth noting, is that the females are not sexually mature until the age of two and the average lifespan is some five or six years. Cubs stay with their mother for anything up to one year. She may only have two cubs in that time so they are not reproducing as quickly as some people may believe. [Q]: I remember when we first met face to face, you had invited me to meet you, along with Mark Walsingham, who owns the legendary Ashmead, along with fellow fishery manager, former P.A.G board member and angler, Joss Faulkner. From memory you were meeting earlier that same day with the team at Embryo and The Angling Trust. Do you still maintain relationships between angling-based organisations and your own, and why? [A]: Indeed we do, yes. Maintaining working relationships with key organisations is paramount to getting anything achieved. I receive lots of criticism and ill-thought-out remarks for working with angling from both angling and pro-otter organisations, but it drives me to be better for the sake of angling and otter conservation. Nothing can be achieved with petty petitions or arguing between each other. We have to work together and, as an example of that, we were granted the only CL36 humane trapping licence from Natural England in 2016. That move had to come from an otter group. Had it come from an angling-based group it would not have been granted and it has been well received by angling as a whole with us helping out over 70 fisheries by its use. We have successfully trapped otters and relocated them to the outside perimeter of the fence and it is encouraging that fisheries are now calling us for help. A massive bridge was made when that licence was granted, for certain, and of course it was a much-needed boost to otter conservation in general. All of this work is free of charge to the fishery due to the ongoing support of Danny Fairbrass and the team within his Embryo project, who cover any associated costs to UKWOT for safely removing an otter from within a fenced fishery. [Q]: I note a lot of frustration within angling groups arises from scenarios where a piece of water can’t be fenced for reasons outside of the angling control. This could be due to the water residing in country parks or other areas where landowners won’t permit the erection of otter fencing. What can we do to try and protect these areas or open wider dialogue around the impact of otter predation? [A]: This is by far the hardest section of our work. Angling groups need to engage with otter groups for advice and help. We can help them by talking to and negotiating on their behalf, but we find that many angling groups can be suspicious of an otter group actually wanting to help, and I understand that. The answer to the next question will elaborate on how to mitigate this concern, by using non-otter proof specification fencing. [Q]: What a perfect segue into this question Dave. The financial and manpower implications are a huge challenge for many fisheries looking to fence their waters. We were desperate ourselves to protect our fish stocks and tried to think outside the box (we tried to buy our fishery a month or so ago), with battery powered dog/cat/rodent scaring boxes which emitted a high-pitched sound with a flashing strobe light triggered by an infra-red sensor. By moving these boxes around the perimeter of the area where otter kills were noted, so the noise and light came from a different position every few days, it seemed to hold off the otters for a while. Whilst ultimately the only sure fire barrier is a properly specified fence, is there any advice on a lesser specification fence that could be installed as a temporary measure by a fishery targeted by otters? [A]: I always encourage angling groups to work together. If there are a couple close to each other, work out what materials you need for both and bulk buy. Get members to organise a work party and do the manual work, leaving costs for just materials. One of the biggest concerns with full otter-proof spec. 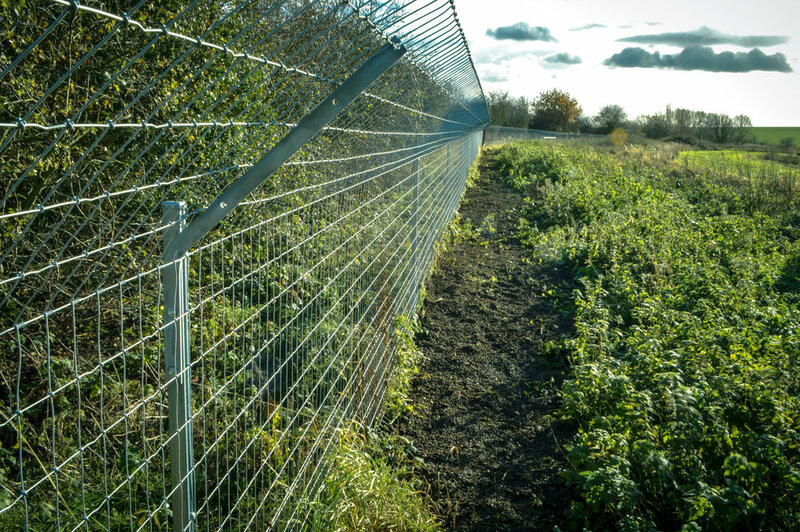 fencing is the look – bright shiny wire with new posts holding it all up. You could use a four foot-high fence, chicken mesh with an electric run around the top and mesh skirts on the ground, letting the grass bind it all together. One of the biggest failings of all otter fences is not the design, it’s the maintenance when it’s up. Often smaller fences are used, as they tend to be more aesthetically pleasing to the landowner’s eye. Again, a simple email to us here: otters@ukwot.org and we are happy to help where we can. I knew I had some work to do from that perspective. In addition, despite our club having owned the site since 1993, the land is part of a wider designated Site of Special Scientific Interest (SSSI). I had read and talked with fellow anglers, of which some reported trepidation in approaching the managing body of SSSI certification, Natural England. I knew this could scupper my plans for an otter fence at our site if I didn’t manage to engage with Natural England on the need for the fence at our site and the negative effect it could have on the several hundred members who visit the venue annually. I was also keen to make my own mind up on experiences in dealing with Natural England, which is key to making any relationship between organisations work. They have to be founded on fact. After a week or so of making contact via the www.gov.uk website, I had arranged a meeting at our site with our lead advisor from Natural England. I noted this team covered a huge area of the country: Essex, Hertfordshire, Cambridgeshire and Northamptonshire. After initially meeting at our fishery and having some discussion around wildlife on the whole at our site, and the time of year we planned to carry out any work, the documentation referred to as a ‘consent document’ was issued without any problems. I am happy to say we have continued to build a great relationship with the Natural England team, which has already started to help at other waters we run in the Nene Valley area on SSSI designated land. A very positive experience all round! I have asked Ross Holdgate from Natural England a few top-level points about the process in applying to fence a water within land designated with SSSI status and how angling can play a part in the wider management of the countryside. [Q]: Ross, thanks for taking the time to answer a few of these questions for us. Can you start by explaining what Natural England do as an organisation? [A]: First of all, thank you Ash for bringing me in on this. My job is to work with landowners and managers within Sites of Special Scientific Interest (SSSI). These represent the most important wildlife sites in England and Natural England has a duty to make sure that their special interest is preserved. My patch includes the Nene Valley in Northants which is a hot spot for carp angling and brings me into regular contact with fishery managers. Aside from the working with SSSI occupiers, Natural England has a wide range of interests including farming schemes, advising on development, managing our own nature reserves and licensing activities that affect protected species. It can be difficult to know who you need to speak to about a particular issue. If in doubt, I would encourage anyone to contact Natural England or other public bodies such as the Environment Agency or local authorities. We are well-versed in talking things through and getting people the right point of contact. [Q]: How does the relationship between Natural England and a land or fishing rights owner typically work? For example, do Natural England offer guidelines or mandatory rules? [A]: It does depend where you are. If you are operating within a SSSI, certain activities are regulated and need to be agreed by us (known as a ‘consent’), before they can go ahead. The first step is to make contact with your Natural England adviser and get a conversation started. We may be able to come out to your site and we can explain what the key issues are. This conversation is also a chance to discuss what is important to you. We will look at any proposed activity carefully and work with site managers to try and find a way forward wherever possible. [Q]: Have you seen a marked increase in otter fencing discussions over recent years and are there any examples of the most common reasons for an otter fence consent being declined? [A]: Yes, there has been a lot of interest in otter fencing within SSSIs within my patch recently. As well as the cost there are other factors to consider, such as effects on wildlife and any public access around a lake. In terms of what Natural England can agree to, the thing to bear in mind is that every case will be different, according to the site circumstances and what makes it important for wildlife. We have been able to agree to a number of fencing proposals in my area but there will sometimes be a need to modify the approach or consider a different way forward. 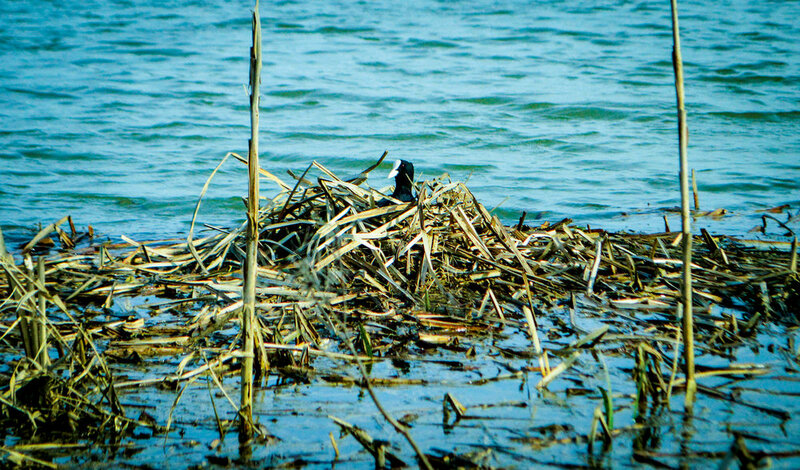 For example, at a site where water birds need to feed or roost around the lake then a fence may need to be set back to the site boundary. [Q]: I asked Dave Webb earlier in this piece about his thoughts on the waters that sometimes hold historic, old fish that can’t be replaced instantly by restocking, but that are located in areas such as a country park or similar conservation area. Despite these areas often needing careful negotiation, do you feel there are opportunities for angling groups working on compromises with authorities to benefit both wildlife and protection of fish stocks in these scenarios? A flooded double-swim, some two foot above its normal level early in the season! [A]: Understandably the fishery manager’s instinct may well be to protect stock with a fence to a specification recommended by guidance documents or manufacturers. However, where this is not possible for any reason, it will be important to explore alternatives. It may be that a fence of a different design could be effective. This may restrict the use of the CL36 licence (to trap and remove otters stuck inside a fence), but the use of one-way otter gates in a fence can be a very effective alternative to capturing under the licence. Another option may be to trial the use of temporary electric fencing. [Q]: Dave mentioned earlier that he felt it was important the CL36 licence application came from an otter conservation group rather than an angling group. This makes me think there is still some way to go with improving angling relationships on a wider national scale. Do you think Dave’s thoughts are correct? [A]: We will consider applications from people who can show supporting evidence confirming appropriate knowledge and experience of otters and the management techniques permitted. We would be happy to discuss this further including what type of training can be taken in to account. Thanks to being able to build relationships with Dave and Ross, after some discussion and all of the required consent being in place, my fellow committee members agreed we would use club income, built up over many years, towards the installation of an otter fence. Our 2.5km fence built to the CL36 specification was in place by August 2017. The cost of our materials came to around £20,000 and then we paid a fencing contractor to install the fencing for us, which was completed in about 2½ weeks. I won’t go into detail on this point for the purposes of this article, as I want to keep the focus on sharing information to potentially help others. Hopefully within these short, few thousand words, you can start to see how there are different organisations with different goals and aims – all involved with the same areas of land that as anglers, we can’t ignore. These few examples obviously don’t cover all of the challenges or scenarios involved in preventing otter predation on every carp fishery, but hopefully it has helped provide some food for thought on what can be achieved and has added some clarity on the processes and history of the otter re-introduction to the UK. There are organisations within angling that are willing to help, such as Danny Fairbrass’ aforementioned Embryo Angling fencing services. Dave mentioned the fantastic financial commitment Embryo have made in covering the costs of live otter trapping from appropriately fenced waters, and the Embryo teams are facing huge demand for their fencing work. Their service really can make a difference. We also have to start picking up the phone or reaching out to groups like The Angling Trust or Sport England for their grant funding schemes when they become available. There are also lots of other regional grants around the country that are available to angling organisations, that sometimes don’t come from the obvious places you might expect. It is about thinking outside the box and going back to grass roots. For example, it can make a very compelling case for grant funding when you consider the physical and mental health benefits that many anglers get from angling. Can looking at the wider health benefits, or your footprint on the countryside where your fishery is located, make your angling organisation viable for grant funding? We focused on the shared benefit of flood protection of our stock offered the fencing, when talking to non-angling groups, as a wider benefit to fencing being in place. Luckily this was tested this spring with some of our access tracks being over two feet deep in River Nene floodwater at various points! My advice is to start reaching out to organisations that may be able to help. 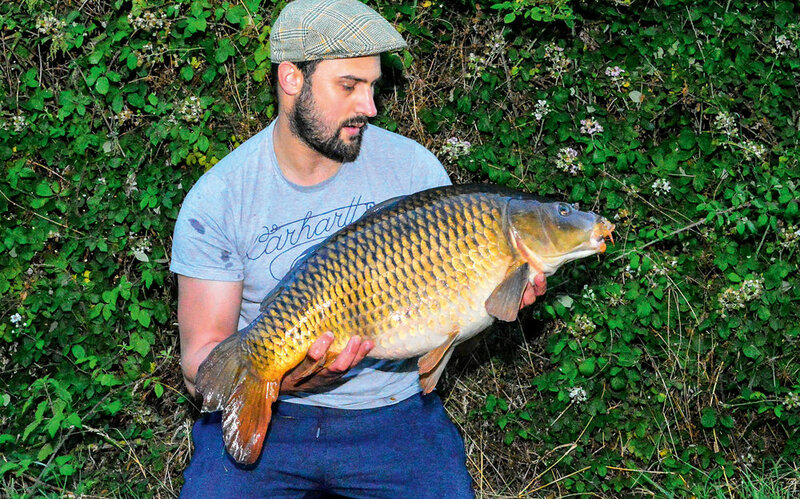 It is hard work to gain funding, particularly when you’re having sleepless nights worrying if some of your carp will be found the next morning with no stomach. You need to be prepared to think logically about these processes. Angry and emotive rants, with no real fact or thought behind them, will be quickly and easily dismissed. Try to think of how many people from both angling and the general public, use your site for dog walking, bird watching, etc. If the general public don’t use the site, then think about allowing some use as it might help your case for funding. How about teaching underprivileged kids to fish – big bonus points for grant application! Once you can quantify the usage of your site and passionately demonstrate the potential effect otter predation can cause, then you start to really build a compelling case, with a good news outcome that other organisations might want to get involved with.